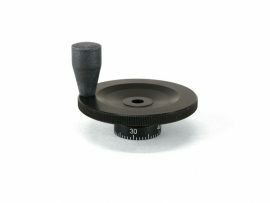 The 1⅝” handwheels are the standard handwheels that ship with many of our machines, including the lathe tailstock and our 4″ rotary table. 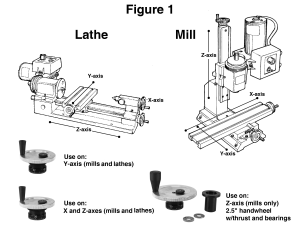 They can be used on either a lathe or a mill. 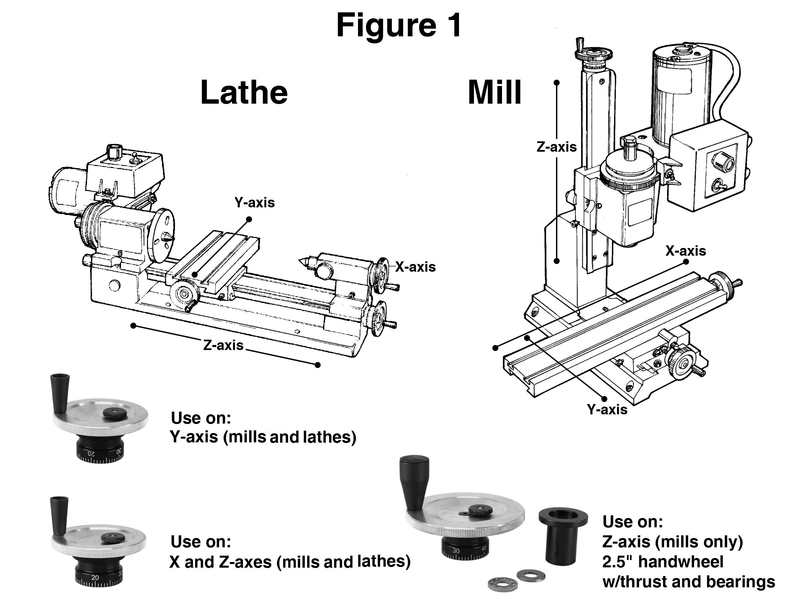 See Figure 1 for proper handwheel-to-axis orientation for each machine. 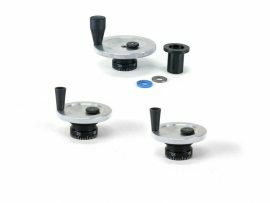 When upgrading handwheels, consider also the adjustable “zero” handwheels. 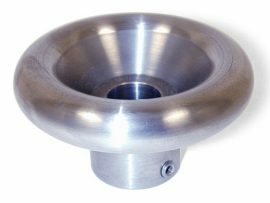 They are available in 2″ and 2½” diameters and can make keeping track of dimensions easier. 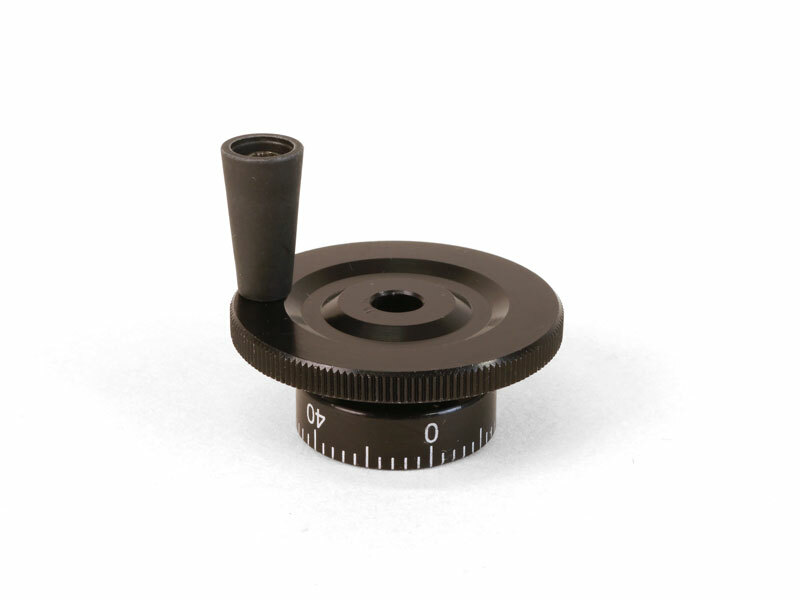 FIGURE 1: The engraved numbers on the handwheels are oriented differently for ease of reading depending on the axis onto which they are mounted. For example, if you mount a handwheel designed for the mill X-axis on the mill Y-axis the numbers will appear upside down (handwheels shown in FIGURE 1 are not necessarily those that will ship with your order).